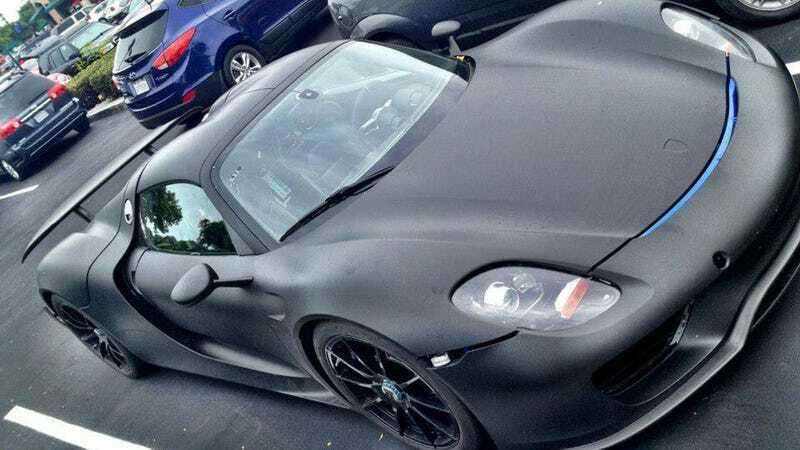 After two Porsche 918 Spyders were spotted in Arizona, 40rtyp tipped us that there's a third one in Carlsbad, San Diego. Seems to be one of the lightened versions too. If possible, the matte black wrap makes it looks even cooler, but please, let's not talk about about those panel gaps. I have no idea when that will get fixed, but I promise to find out for you at the Frankfurt Motor Show this September. Good hunting out there, California!